President Trump signed an executive order Wednesday ending his own policy of separating families at the U.S.–Mexico border, despite claiming for weeks that only Congress could fix the issue. 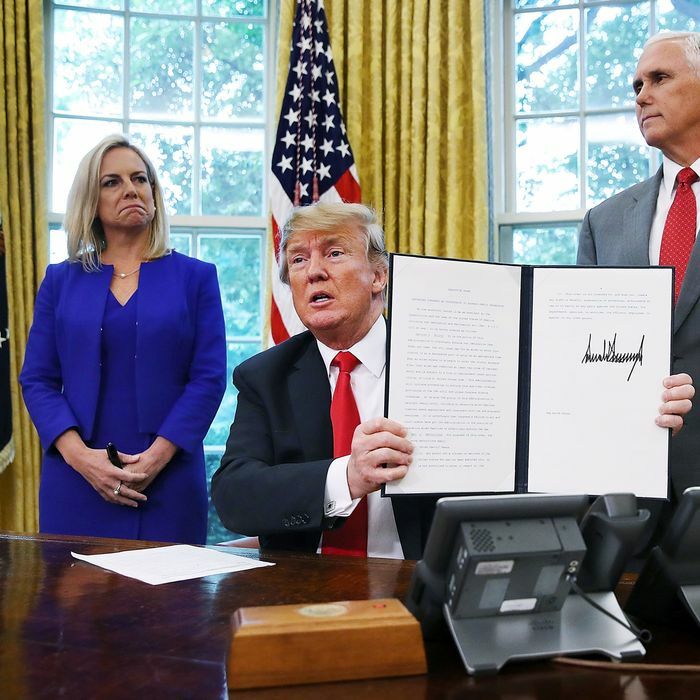 Trump emphasized that this order does not spell the end of his administration’s “zero tolerance” immigration policy, which mandates the prosecution of anyone caught illegally crossing the border. So instead of detaining parents and treating their child as if they were unaccompanied minors, the government will now detain families together. The order also calls for a change to the 1997 court agreement, known as Flores, that requires children be released from immigration detention after 20 days. The administration wants to keep children in custody with their parents indefinitely.